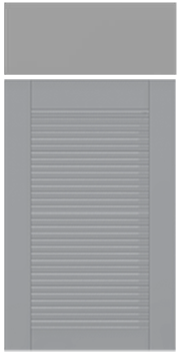 The CWS-10446 is a true louver door, emulating the look of shutters. These doors are complicated to build and fairly expensive, which makes them best used as accent pieces. These are not intended to be used as household interior doors such as on closets, etc! No. For frame only or mullions, order TW-10 with ME Edge, Square Framing Bead and frame only or mulllion option as desired. 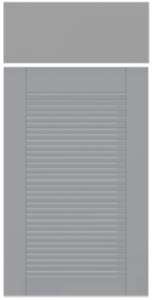 The top and bottom rail widths will vary dependent on the height of the door because the slats cannot be split.